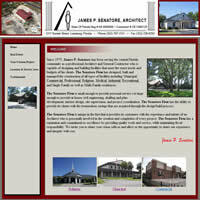 Kevin Robson has been key in translating my design concepts into a well-functioning website for my client. He’s a true professional, knowledgeable and easy to work with. It’s also reassuring to know that he continues to be very responsive in quickly posting periodic important updates to the site. 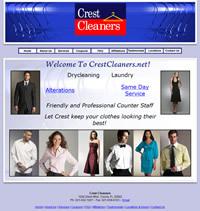 Having BusinessMasters.Net set up a web site was one of the best time saving, informitive ad process I could have done. I use UpdikeWelding.net in all of my advertizing. UpdikeWelding.net is on the sign on my truck, in my yellow page ad, and recorded on the phone recorder. All of the products are displayed there and my clients can view them. When a customer calls to inquire about decortive iron work they go to the site then call or email me with an order. The process easy and I truly enjoy having a website. My wesite was one of the best moves I could have made and it works great for me. 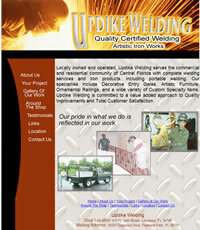 Vist Updikewelding.net and see a working man's web site, you'll love it! Just wanted to drop you a line because we've noticed a strange uptick in the number of one specific product being sold on our website. 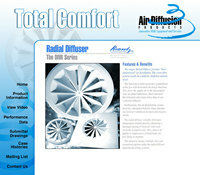 We started manufacturing and selling an ancillary product to hospitals and added it to our old website about three years ago. We are happy to get two or three orders a month for this "extra" item. When BusinessMasters.net redesigned our site, we simply copied the product details and photos over and figured we'd get the same two or three orders a month. Then something strange happened last week: we got three orders for this ancillary IN A SINGLE DAY! The next day saw two more orders. In the past week, we've sold 16 of these highly profitable items. So what changed? Not our actual website, since the pictures and descriptions are the same as what I put on my novice-built website a few years ago. But a cursory look at the search engines show that we have moved the the front page, 1st position for searches for the item. Whatever your company is doing to optimize our search engine results is working! One week of orders has paid for the ENTIRE BILL for a website redesign. 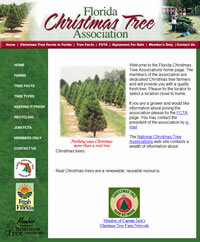 The members of the Florida Christmas Tree Association have been very pleased with BusinessMasters.Net and Kevin Robson. He met with us during the construction of our web site and helped us design it in a way that would make it very user friendly. When we request an update to the web site, it’s completed by the next day. The monthly report sent to us has been very useful in determining the number of hits we receive and where they are coming from so that we can adjust our marketing efforts if needed. The members have reported a positive response from their customers and many of the customers visited their Christmas tree farm because of the web site. Thank you for a job well done. Who does your website? I get this question all the time. I get excited when people ask, because then I get the chance to brag on having the best "web guy" around. It's unbelievable the turn around time when I ask for changes to the website. People can't believe that most changes happen within 24 hours. Sometimes I send odd requests, without specific direction (I know what I want the end result to be, I just don't know how to make it happen). You always seem to read my mind and see the pictures in my head and it turns out more spectacular than I imagined it. Also, as a nonprofit, your rates are so affordable. We couldn't promote all of the things that we are doing without the top notch service you provide at such a reasonable rate. Thanks for being the best "web guy" around. You rock! 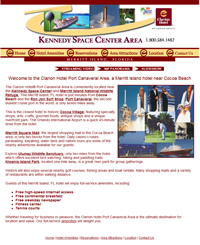 Words are insufficient to express the centiments in my heart for the unwavering, prefessional, dedicated, personable, visionary service to Clarion Hotel Port Canaveral Area in Merritt Island and Luna Sea Motel in Cocoa Beach Florida. The suggestions and comments recommended for attracting business has been productive and growing daily. With the support of Business Masters as my (web-master) in these challenging economic times, they have been a strong support in helping us maximizing every opportinity for growth and success. I am HONORED to recommend Kevin Robson and Business Masters to anyone who may be looking for better opportunities. Words are insufficient to express the sentiments in my heart for the unwavering, professional, dedicated, personable, visionary service to Econolodge Hotel Port Canaveral Area in Merritt Island and Econolodge Cocoa Beach Motel in Cocoa Beach Florida. The suggestions and comments recommended for attracting business has been productive and growing daily. With the support of Business Masters as my (web-master) in these challenging economic times, they have been a strong support in helping us maximizing every opportunity for growth and success. I have known Kevin for many years. I also have a lot of computer experience and several Microsoft certifications. 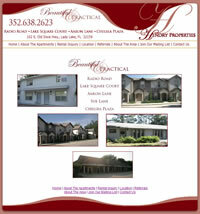 But when it was time to have a website for my property management company, I turned to BusinessMasters.Net. 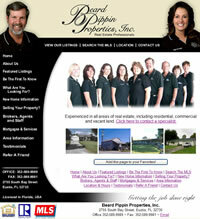 The site was done professionally and quickly, exceeding my expectations. When dealing with Kevin, this is what you learn to expect. Kevin ~ If I have not said it in the past ~ BusinessMasters.Net is the best. Thank you so much for all your hard work in making our site the best. Your time and efforts are really appreciated. 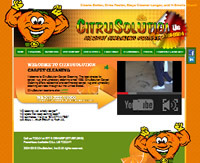 I would like to thank you for all the help and support you provided during our website redesign project. You understood our needs and anticipated our questions, but most important you were able to see our vision and guide us to achieve the look we were searching for. 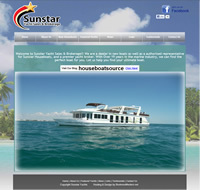 Your responsiveness made it easy for both of us to keep the project moving forward and you are pleasure to work with. I am happy to recommend you and your company. Thank you and your staff so much for all of the assistance you have provided to me over the past few years. I find you to be knowledgeable, dependable, and very helpful no matter what challenging assignment I ask of you. Your assistance at helping my business grow is appreciated as well as being available to me and my staff to work through challenges both big and small. Thank you for being in our corner. We really couldn’t do this without you. Kevin Robson does a great job with his world wide web service. 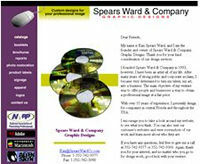 His creativity in designing and maintaining my personalized business site is a great value to my marketing capabilities. I highly recommend him for your internet consulting. Kevin has just completed our new website. WOW what a difference. We look more professional and I feel proud to have customers go there because we finally have a complete representation of who we our. 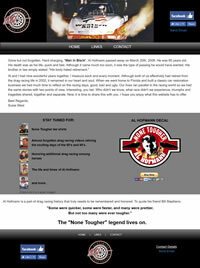 I know we our the best at what we do, and now our web site reflects that. Thanks great job!!! When we decided to utilize a website for both advertisement and plan acquisition, we knew that you were the man to call. You had done work for me before and I knew that you would once again exceed my expectations. Though we have changed our minds several times and even had to prolong the creation process due to the demands of our other design work, you have been patient, professional, and extremely accommodating. When we decided to make a substantial change in the middle of a major construction project, you worked over the weekend to make our site "manager friendly" so that I could post important information for a time sensitive deadline. This type of customer service is extremely rare. 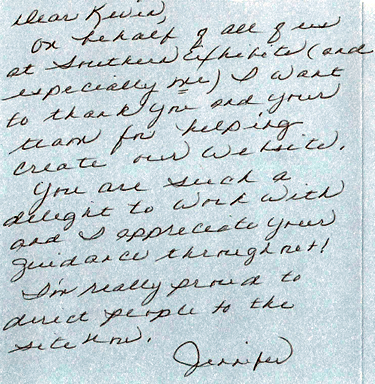 Thanks again for going the extra mile for your clients. I contacted Kevin Robson at BusinessMasters after seeing the website he had created for another doctor in our area.I have been pleased with Kevin's responsiveness and quality work through every phase of the process, from set up and design to the daily maintenance of our website. When we need changes to information on our website Kevin and his staff are quick to respond. Kevin even contacts me to review that the changes are as needed before they "go live" on our website. One of the most helpful services Kevin provides is sending out our electronic newsletters to patients on our e-mail list. He has been able to process and transmit our electronic letters and flyers with a minimum of turnaround time. This helps me to maintain "real time" contact with my patients about events in my practice. I have had other webmasters in the past, but Kevin is the best. His professionalism and attention to the needs of his client (me) cannot be surpassed. And his pricing is very reasonable for the service he provides. I would highly recommend Kevin Robson and Business Masters to any business looking for a top quality website service. I built my own website a year and one half ago. Thought it was pretty good and a few folks said so. About 3 months ago I switched to Business Masters were Kevin cleaned up my site, did a little revamping to make it more appealing and much easier to use. In this short 90 day span of time, i've got a few calls telling me how much nicer the site is and even reaped two new customers from those calls. I highly and wholeheartedly recommend Kevin and his team at Business Masters! 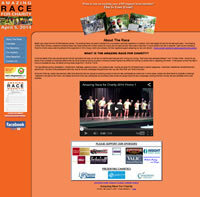 BusinessMasters.net has been a wonderful partner for the Amazing Race for Charity! From the wonderful page design and inclusion of our photos and videos to my endless requests for tweaks and changes, Kevin has been courteous and accommodating. I can't imagine using anyone else for our website design and hosting! I have not accessed the online paper in many months because of all the problems I experienced. Accessed it today because there was no mail delivery due to Thanksgiving. Am pleased to report the improvements you have made are impressive and the new feature of being able to type in a page # is amazingly wonderful! Kudos to whomever is responsible for the quantum leap forward in making this a more user-friendly online newspaper. 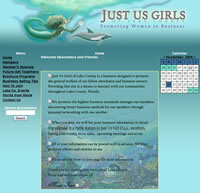 Business Masters has done an outstanding job with our website. 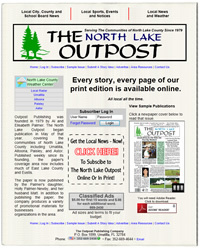 We count on the web site to advertise, share information and get customers. It is critical that it stays up to date and in the world of yacht sales, things are constantly changing. It is comforting to know that when we send in a change to the site, the changes are made promptly so the website is always accurate. All interactions and communications are professional and top notch. This kind of customer dedication and support will keep us with BusinessMasters.Net. WW II Flight Nurses Assn. 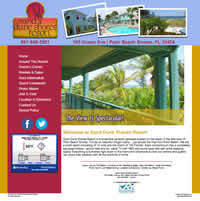 Business Masters has done an outstanding job with our Fantasy South website. 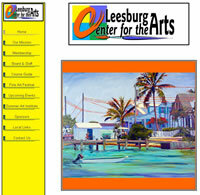 We count on the web site to advertise, share information and get customers. It is critical that it stays up to date and in the world of yacht sales, things are constantly changing. It is comforting to know that when we send in a change to the site, the changes are made promptly so the website is always accurate. All interactions and communications are professional and top notch. 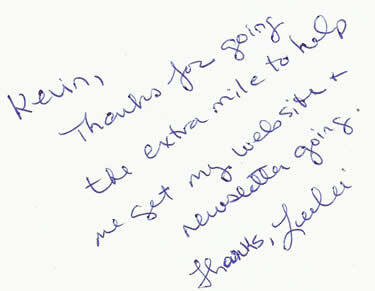 This kind of customer dedication and support will keep us with BusinessMasters.Net. What a fantastic job! 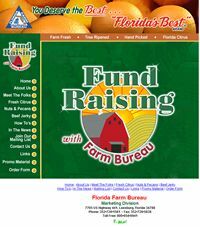 The Florida Farm Bureau fund raising web site is now up and running and you did a great job! I presented the web site on a large screen to our state Board of Directors today and they were very impressed! Thanks for a job well done! We look forward to continued growth in our company with our new marketing tool designed by BusinessMasters.net, Inc., and we definitely will recommend you very highly!!! I would personally like to thank you for always being here to help me. I really couldn't do this without you and you do a great job. 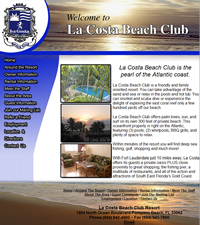 Thank you for the quick response in posting the important message on the La Costa Beach Club website. 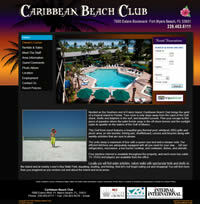 We are so pleased with the appearance of our web site design. Your designers are top notch! There are so many items of interest for a homeowner as well as the building professional on our site, it has turned out to be a very functional tool for our customers. Thank you for taking the time to listen to what we were looking for and designing a professional look to enhance our IMAGE! 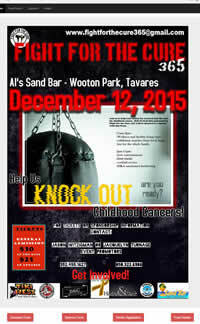 I would not have a web site without your help. Even though I had professional assistance, there seemed to be little progress until it was suggested that I contact you. You were always there willing and able to help me with my problems. It has been a pleasure working with you, and I feel privileged to be one of your clients. Kevin, Just wanted to let you know how pleased we are with the management and upkeep of our website. We can always rely on your prompt service for our change requests, and monthly status reports are a absolutely phenomenal way for us to keep track of internet traffic. We have used other methods of website hosting in the past and never had the quality of service you provide. Thanks for all your help. Great job. 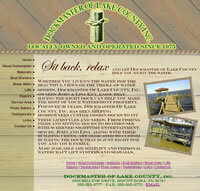 Dockmaster of Lake County, Inc.
Our web designer was Kevin Robson with BusinessMasters.net. He was very easy to work with, creative and resourceful. I’ve had others who have also asked for referrals, so I think my site must be attractive and easy to navigate. Please allow this letter of recommendation to serve as placing my highest stamp of customer-approval on Kevin Robson (and his team at BusinessMasters.net). The first thing I did before choosing Kevin to design and host the website for my law office was to review his extensive list of previously-developed websites online; needless to say I was duly impressed. Next I met personally with ‘the man behind the company’ and quickly surmised that Kevin was a tremendously good listener, and incredibly easy to work with. 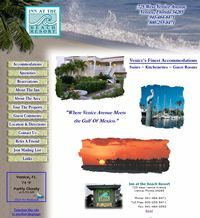 Through the years Kevin has demonstrated the utmost in honesty, promptness and professionalism, and so when it was recently time for me to launch another website for a local magazine, there was absolutely no doubt but that BusinessMasters.net would get the job. "Thanks" Kevin! 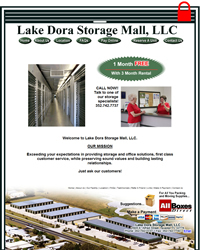 I just wanted to take a moment to thank you for the great job you did on our new website. It looks great! You made the whole process simple, easy, and painless. Your hard work produced a really great looking website. I would highly recommend Kevin Robson and BusinessMasters.net to anyone. We have been with Kevin at BusinessMasters.Net for two years now. 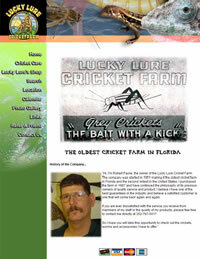 He took our already existing web site and created a user friendly, nice looking site. We have received numerous compliments.Very professional and very, very helpful. It's fun working with Kevin. Choosing Kevin and BusinessMasters.Net has been one of the best business decisions I have made. Kevin and BusinessMasters.net have been great! Any updates we need, are provided quickly and with great attention to detail. He is always very accomodating and creative. 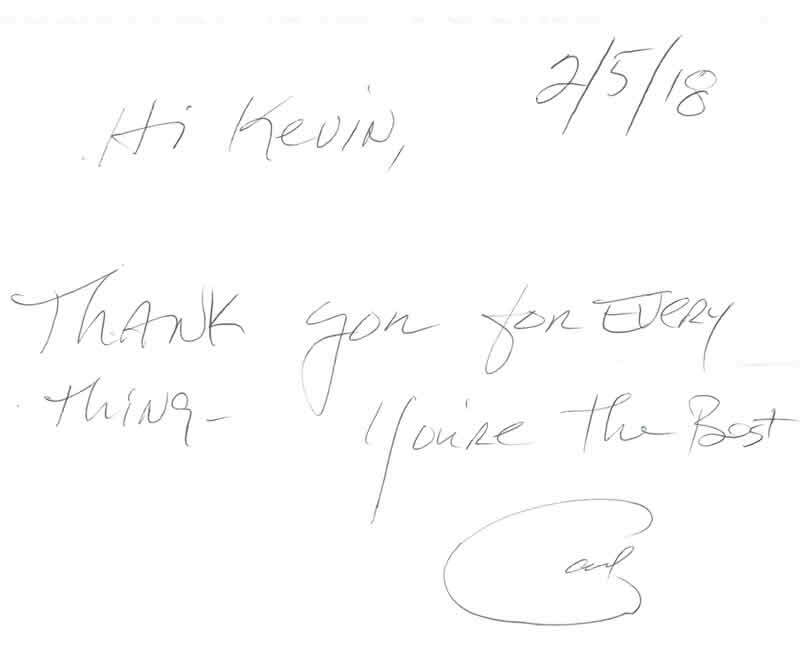 We appreciate you and your staff Kevin! We have been with Kevin at BusinessMasters.Net for nine years now. 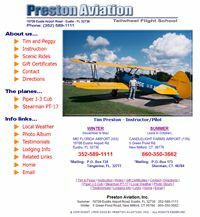 He took our already existing web site and created a user friendly, nice looking site. We have received numerous compliments.Very professional and very, very helpful. It's fun working with Kevin. Choosing Kevin and BusinessMasters.Net has been one of the best business decisions I have made. 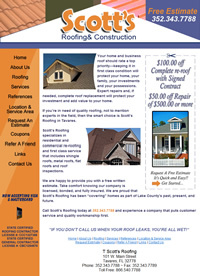 Although we've been in business for over 30 years in Lake County we realized in the last several years that we needed to re-think how to best reach our customer base. We knew that developing a website was top priority for us, but it was an overwhelming task that neither Tommy nor I knew much about. Thankfully, Kevin was recommended to us by several successful business owners and friends. Working with Kevin was one of the smartest and easiest things we've ever done! He listened to our needs and allowed us to have as much input in the web design as we were comfortable with. He also made sure along the way that each part of the website met our needs and approval. 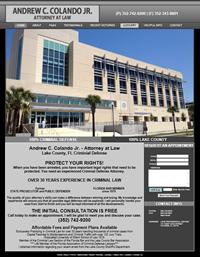 Changes and updates to the website are completed painlessly and expediently with a quick email to his office. His kindness and patience has gone beyond our expectations and we are so very grateful for his direction. We have had much positive feedback from our company website and believe it has increased the efficiency in which we do business. We look forward to a continued business relationship with BusinessMasters.Net and Kevin Robson! BusinessMasters.net, specifically, Kevin Robson, has exceeded our expectations for the design and management of our organization’s website. Kevin listened to our ideas and not only made them happen, but built on our ideas to make an effective and attractive new web site. 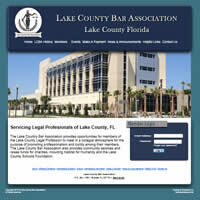 The whole process has been seamless and the LCBA looks forward to our continued relationship with BusinessMasters.net. Kevin Robson is very conscientious and understanding of our needs for the Website. He is quick to respond and handles any issues I have efficiently. I recommend the Business Master's to anyone seeking high quality Websites and run with professionalism and understanding of your specific needs as a business. Just a want to give a HUGE thank you to Kevin and his team as they have been great! You and your company have went, and are still going, above and beyond to go the extra mile to help us design and get our website up and running. 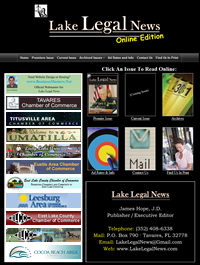 WE are very pleased with the appearance and layout of our website. We have had so many compliments on the website and we owe it to you. Thank you! You are always very prompt in replying and assisting in all our needs and making any changes as quick as possible. We definitely would not be where we are today without BusinessMaster.net. 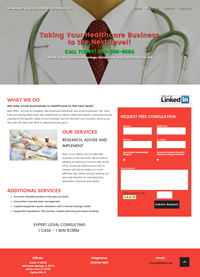 I would definitely recommend them to anyone needing a website design. 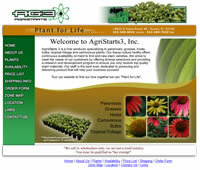 In an effort to increase sales and get information on the Internet, Agristarts 3 began working with BusinessMasters.net to design and update our website. BusisnessMasters.net took our loose ideas and made them a reality. Their competent, easy to work with design team worked closely with us to make sure that the concept that they designed was what we envisioned. The staff at BusinessMasters.net is always available to answer questions and work out any new quirks that the Internet throws at us. 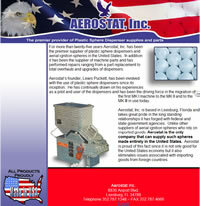 Our Internet sales and contacts have increased with our easy to use website. Weekly e-mails to our current customers has kept them informed about up-to-the minute availability of our products, increasing sales and business. I have just explored all of the links and read all of the information. VERY VERY nice job!!! Love seeing our precious church building and church family so well represented. Thank you soooooo much! OUTSTANDING WEBSITE! Much better quality than I anticipated. As professional as you can get. I'm proud! 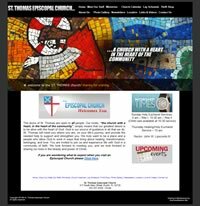 I think the new St. Thomas website is a great improvement. You have done great!! We can keep up to all the events going on. Aviation Realty & More, LLC is in the people and sales business, and are definitely technologically challenged, but Kevin is always there for us. He is patient, creative, and makes changes and updates promptly. Thanks for all your help, Kevin! I wanted to take a few minutes to acknowledge all the times you have helped me whether it was a website problem or helping to suggest different designs for the website or anything having to do with my computer. Your expertise in your chosen field is delightfully refreshing. As a benefactor of that knowledge, I could not be happier to have you as a partner. That in itself would have been enough. But, what I feel makes you exceptional, is the patience, grace and supportive nature you display when I have asked for your help. You never made me feel you were in a hurry or having a bad day. It’s like, when you are on the phone, the person at the other end feels they are the only one that matters. I have worked with you at couple of other resorts and have never been disappointed. I look forward to many more years of working with you. BusinessMasters.Net stands out from the Web Site Development Herd for the simple fact that their Customer Service is exemplary! Kevin and his team actually listen to what we have to say, what we need, and what "our" vision is for our site. They take our input and toss their magic into the mix .... everytime hitting it out of the ballpark. Thank you for a job well done! 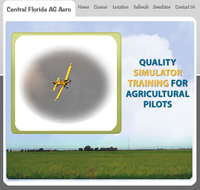 The Agriculture & Labor Program, Inc. 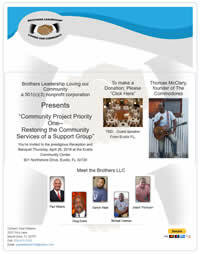 Words cannot express how happy we were to work with BusinessMasters.net to create our website and host it for us. Due to changing business requirements we found ourselves in need of a website on a very high priority basis. After meeting with Kevin Robson,discussing our needs and furnishing him with some ideas of what types of content we were looking to have he not only ran with the ball but he sprinted to the goal line and in a matter of days we had a functioning website that was getting our message out to our customers and allowing them to quickly and easily contact us to ask questions and place orders. As impressive as that service was we have now been up for almost a year and have not experienced any down time with BusinessMasters hosting it. In short BusinessMasters is a great company to work with! There are alot of businesses offering web design and site management. BusinessMasters.net is by far the best. Many businesses today have a tendency to over-promise and under-deliver. I can't say that for BusinessMasters.Net. You have been a pleasure to work with. We appreciate your hard work and recognize all the extras that you have added to make this a great site! Working in an extremely competitive industry, we needed something to set us apart from all of the other real estate agents in the area. Kevin and his staff went out of their way to accomodate this need. By providing us with expert advisement, immediate response and execution, and "after hours"support (all at a very reasonable cost), we feel we now have that "edge". Thanks again for a truly professional job. We had our web site developed about three years ago by BusinessMasters.Net and since day one the service and "care of product" have been nothing short of excellent. Our updates to our site are handled extremely fast and Kevin is a pleasure to work with. I was greatly impressed with Jennifer's knowledge of the Adwords program. 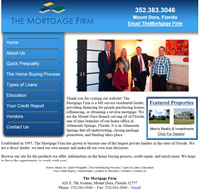 She was very professional, patient and knowledgeable. She's a keeper. 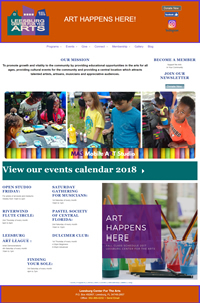 Our association website was in sad need of updating the platform and creating an inviting home page where people would get the information they needed regarding who we were and when our next event would be. After engaging BusinessMasters.Net our expectations were met, not only in creativity, but also all work was done, and continues to be done, in a timely manner. 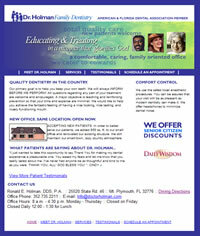 I would highly recommend BusinessMasters.Net for your website needs! They pay attention to detail and the customer's requests! It was only that my vision took shape when I made that first phone call to Kevin of Business Masters. Years I spent with a sketchy and vague idea of what I wanted to do. Once Kevin and I met for the first time, the vision became a reality. He, then, encouraged and provided guidance through the initial phase of my many questions and development of ideas. When it was time for him to take the ideas and put them together to create the website, he made it seem easy and seamless. Kevin was kind and patient as this project included a learning curve on my part. Now that the website is up and running, his quick and efficient manner of handling requested changes and responding to concerns is professional and, to say the least, personable. It is no exaggeration to say, I could not and probably would not have done this without him. Kevin has been the webmaster for our chapter for over 2 years. As former president and current International Director for our chapter, I have enjoyed working with Kevin and especially appreciate his professionalism. His approach toward keeping our site updated, his willingness to assist us as needed, and the timeliness in which he gets the job done is impeccable. We have had other webmasters in the past that did not do nearly as good a job as Kevin. I would personally recommend him for all your website needs. I told Kevin what I would like to see, and there it was! What I anticipated was going to take weeks and many meetings/revisions was online and perfect in a week. If I e-mailed a change, or even added another unit, Kevin made the changes in a day. So, I am happy to recommend BusinessMasters.Net if you would like to spend less money and time to get the best results. When we were looking to get our Villa Property in Turkey marketed and available to the world, we knew exactly the man and the company to go to. Kevin Robson and BusinessMasters.Net were our natural Number 1 choice. He created a visual and informative website for our customers to view and we know that in the future when we are able to market our other properties that he will deal with these with unequalled accuracy and care. Website creation is not hindered by distance and so we would not hesitate to recommend Kevin and his work to our friends and colleagues here in England. BusinessMasters.net are the company who care, as our business is their business. I would like to take this time to write about how appreciative of Business Masters.net. I met Kevin Robson during some networking events and found him to be helpful and knowledgeable without attempting to make a sale. He genuinely cared that I had the information I needed to be successful. Kevin was always giving me directions and helpful hints without expecting anything in return. This is what made me make the decision to have him host our website and manage my email accounts. I found him to make himself available quickly if there was ever anything I or my staff needed and was always able to help. I also found that I did not have server issues while Business Masters was handling my accounts. I would recommend Kevin and Business Masters to anyone. Working with Kevin Robson's firm this year has been an excellent change. I highly recommend BusinessMasters.Net to all of my clients and to anyone interested in starting a new website. They provide efficient interface construction, compatibility with major browsers, innovative programming methods, and fast loading speeds that enable our company to look professional. Of course, BusinessMasters.Net provides much more than what I am saying, so, I recommend that you visit BusinessMasters.net to see why I think they are so darn popular. Kevin has been such an enormous help to our company and especially to me! I was new to my position as Director of Business Development and was unsure of how to optimize our website. Kevin immediately stepped in and not only gave me great advice but was always there to answer all my questions. I feel educated on how to work with our website now as well as gaining an overall knowledge of how social media all works together. I highly recommend Kevin and BusinessMasters.Net! 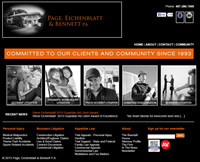 Page, Eichenblatt, & Bennett P.A. Starting my own practice in Podiatry less than a year ago, I knew I wanted something more than the same phone book ad for 12 straight months. 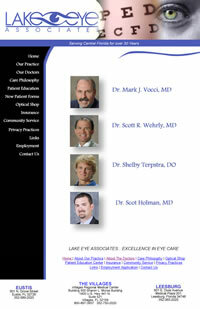 With my own practice web site, information can be added literally overnight. The web site Kevin Robson and Kim Ward designed for me promises to give me the freedom I want to get my message out while looking great! My professional friends around the country who reviewed my site want to know how to get hold of Kevin to get their sites upgraded. I know it will enhance my practice. 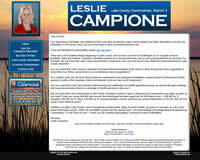 BusinessMasters.net has produced and maintained my website in a professional manner. My business has doubled each year for the last 3 years in a environment that has been super stable with not one case of down time. Transitioning from Space Shuttle Aerospace worker to a successful ECO tour operator has been easy with the help of BusinessMasters.Net. 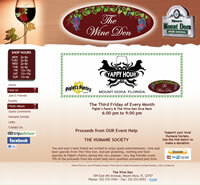 My wife Christina and I wanted to thank you for the many years of helping host and develop our company website for The Wine Den in Mount Dora Florida. BusinessMasters.Net stands out from the other website development companies for the simple fact that your Customer Service is outstanding! Your team always listened to what we have to say, what we needed, and what "our" vision is for our site was. Thank you for a job well done! The inquiries and business generated from our web site has been outstanding! In terms of cost, (value for dollar), on a scale of 1-10... An 11! Thanks BusinessMasters.Net. I am writing you to express my sincere gratitude to you and your team at Business Masters.Net for the outstanding work you have done for J. Scott’s over the past several years. When J. Scott’s first began our website adventure we were completely lost on where to start and what to do. You came and met with us on several different occasions to get a glimpse into what we were all about. You then, in layman’s terms, explained how a website design works and what types of marketing we can do with a simple design. A year ago, we hired a marketing company to design a new, more diverse look for us. You worked so well with that company and were able to take their concept and develop it into the high tech website we have today. 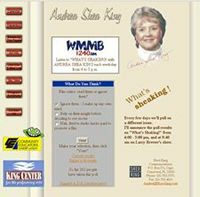 You helped me to develop broadcast email capability and on-line purchases directly from our website. These two concepts have greatly helped improve our bottom line. You also continue to work with me on new design ideas and I can send you a new marketing piece for the website and within a day you have it up and running. Out of all the vendors we work with at J. Scott’s, BusinessMasters.Net has to be the most professional and easiest to communicate with. I thank you again for all that you have done and all you will continue to do to make J. Scott’s Skin Care & Day Spa a successful and recognized business in Lake County. 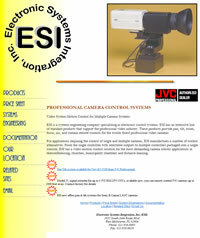 ESI is a manufacturing, integration, and system design company. We have had a website for nineteen years, we moved to Business Masters two years ago to improve our market presence and sales. Since that move our return from the website has improved drastically, while the cost of the site decreased. Kevin’s staff has been very helpful in converting antiquated pages, designing new pages, making our site more dynamic, and updating the website. Our email from potential clients and current users is now flowing flawlessly without junk interruptions. When we ask for changes, consider them done, this is essential as our product line continually changes. Kevin has been very professional and very responsive to our needs. All I can say is wow...that looks amazing. Thank you so much Kevin! Even though it is short notice everything is falling together nicely. Please let me know a day I can buy you lunch or something and thank you in person, give you some tickets for the event as well as future growth with the company and employing you as our Web designer. 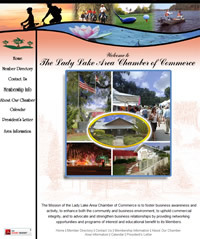 We used BusinessMasters.net to construct the website for our newly formed company. 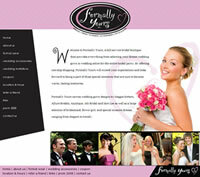 We are very happy with the website itself not to mention the prompt & professional service provided by them. Working with Kevin has also been an absolute pleasure. We highly recommend BusinessMasters.net and look forward to working with them in the long term. As a new business, starting a web site can be daunting. There are so many options and inexpensive ways to get one going. But I knew BusinessMasters.net as they do my company's website, Striking Effects Promotions. When I decided on what to do - there wasn't a bit of doubt - I WANTED KEVIN ROBSON and BUSINESSMASTERS.NET. I knew he would design a great web page (which he did) DataResults4U.com. I knew if I had any questions - he would answer them directly and promptly. He even provided suggestions and recommendations! All at an affordable rate. Now the nice part is - if you give him business referrals - you'll get a discount on your hosting fees! EVEN BETTER! Good man, good company. 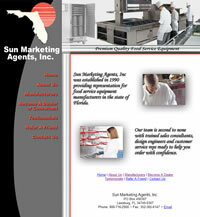 I just wanted to take a moment to thank you for all of your assistance and expertise with our Company’s website. We have enjoyed a great working relationship with you over the past several years, but I must say that in this past year you have gone that extra step to help us meet the economic challenges we have been faced with. We greatly appreciate your professionalism and input during this trying time and feel it has helped us greatly in this downturned economy….Thank you again! We're not only a client but a strategic partner with BusinessMasters.net. Kevin is the epitome of "a small business providing large scale resources." His ability to understand his clients' needs, offer simple and transparent pricing and packages truly differentiates him from other companies which may appear to be less expensive. With Kevin, you always get more than what you paid for including quality, care, responsiveness and creativity. We have used Business Masters for a number of years. 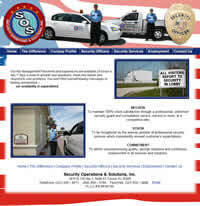 They have been very helpful in designing and maintaining our website. When we ask for changes, they are made promptly. Kevin has been very professional and very responsive to our needs. We have no problem recommending their service. 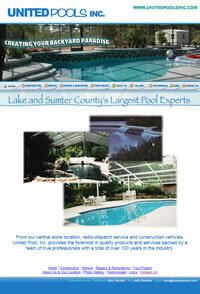 We have been a customer for many years and certainly appreciate your quick response and efforts to get the job done. Thank you Kevin for all your hard work! 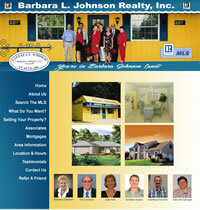 Barbara L. Johnson Realty, Inc. Using BusinessMasters.Net for web design and server has allowed me to not have to worry whether or not our computers will work. Kevin is always ready to make any changes requested in a timely manner and answer any questions we may have. It would be a pleasure to recommend his and his staff’s services to anyone. Kevin Robson of BusinessMasters.Net is the perfect partner to manage our website access and maintenance. Kevin is always upbeat, pleasant, thorough, accurate and timely. He always provides a solution over the phone immediately and if we do happen to miss him, he promptly resolves the issue the same day. We enjoy doing business with him and highly recommend him. The staff at Home At Last appreciate how quickly BusinessMasters.Net responds to our website changes. Whenever we want an update to our website we know that it will be done efficiently and correctly. Thank you so much for always being available whenever we have a question or an issue. We would definitely recommend BusinessMasters.net to other organizations that need website services! Thank you for being so prompt with the changes! You're awesome! You and Business Masters have always been so professional and helpful in building and managing our business website and that is greatly appreciated! When my company first started, we were not completely computer savvy. Thus we made some bad decisions and wound up with a website and webmaster we did not like or want. After months of over the phone conversations, because the webmaster wouldn’t meet us in person, we finally found a glimmer of hope. We found Kevin and Bussinessmasters.net! Even though our company had made the mistake in choosing the wrong company to host our website, Kevin was right there with us and even walked us through the separation from the previous host company. Now, anytime I call, whether it be a complicated question or just a “hey, I forgot my password again,” , Kevin is always there. Sometimes he will just stop by to say hello, or come in to give a new employee some basic training. You cannot buy the kind of customer service and technical knowledge that Kevin and the Businessmasters.net team has, thanks a million for everything you do! 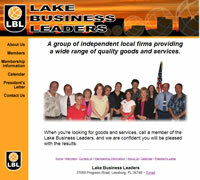 We love our website and BusinessMasters.Net! 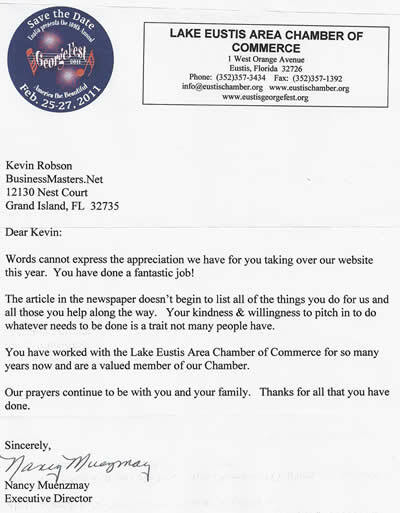 I have been pleased to work with Kevin Robson and BusinessMasters.Net for the past three years. Over that time, Kevin and his team have proved to be vital resources. No matter what the need, Kevin found a way to solve it. Our website activity and use has gone up remarkably. We have been able to serve more families through our website and led the state in collecting parent requests for child care information because of the work BusinessMasters.Net did with our website and online parent intake screen. Kevin doesn’t just approach each and every project as though we were a client, he works with us like a partner; a partner we are always happy to recommend. Kevin Robson is a true professional. He met with me and went over all of our goals and then explained how we would accomplish them. It was a step by step process and we have exceeded the goals with additional ideas that stemmed from it. His staff is informative and friendly. I appreciate his patience and talent in creating website content (and the technical processes) that will help us grow the magazine. Kudos to our website team! 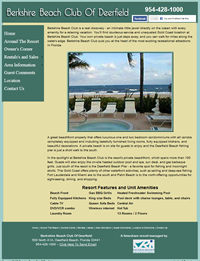 As a resort manager new to a beach front property, I knew something had to be done to improve the website I inherited. It was definitely not going to draw interest of any prospective renters without major changes. 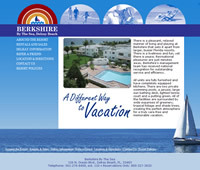 Kevin Robson, of BusinessMasters, was contacted to create a new website for the resort property. I was concerned that I would not be able to pull all of the information together to create what we wanted. Kevin made this super easy. Kevin listened so well to what we tried to convey. His work was done quickly and professionally and the end product is fabulous. He walked me through the processes of updating certain areas of the site’s information and made it all so easy. I definitely recommend using BusinessMasters.Net for web creation and support. 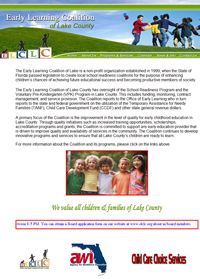 Business Masters.Net has been working with the Early Learning Coalition of Lake County for close to eight years now. I met Kevin for the first time about 6 years ago when I joined the Coalition and managing a website was not something that I had been exposed to at my previous job. Kevin was so easy to work with and a great teacher. Together, we decided what parts of the web could be manipulated from my desktop on my own and what parts I needed him to take care of for me. Kevin always responds to my calls or emails very quickly. If I need something changed on the website, I know I can expect it to be done in a few minutes or more extensive changes are made in a couple of hours. Kevin and his staff are very professional and a pleasure to work with. I am so very grateful to him for making the Coalition’s website the best that it can be. I would (and have) recommend his services to anyone who is interested in a new website or who needs any consultation in this area. Kevin, you are the best! Business Masters has been more than helpful in developing our web site. 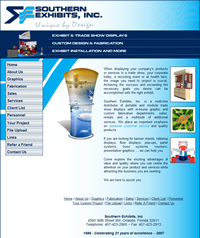 They are very creative in presenting ideas for use, and are available and promptly responsive to our requests. I can easily recommend BusinessMasters.Net to be qualified and capable to respond to the needs for web site development. 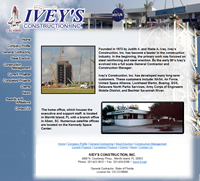 Thank you, Kevin, for your design and maintenance of our website over the past few years. It is a pleasure working with you. You are always prompt in getting the work done and we appreciate your advice and expertise in all areas of website operation. 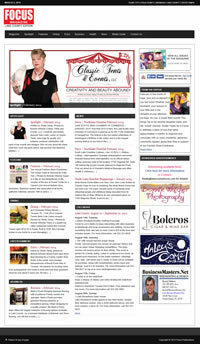 We highly recommend BusinessMasters.Net to anyone looking to create a website for their business. 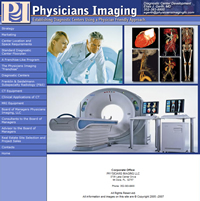 In an age when the computer is in the forefront in the area of marketing, it is important to present a professional and informative front for our practice. 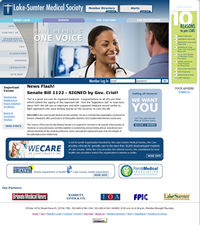 You have helped us with a website that we are proud to have representing our services. Ronald E. Holman, D.D.S., P.A. In the past two years I have had numerous failed attempts of creating a website for my bridal/prom boutique, Formally Yours. That was, until I called Kevin with BusinessMasters.net. The call to Kevin was one of the best business decisions I have ever made. He listened, and created a website exactly as I described. It's not only beautiful but user friendly, as well. I just love it! Kevin, I truly appreciate all of your hard work. You did an awesome job, not to mention it is such a pleasure to work with you. You can't go wrong with a call to BusinessMasters.net, I personally guarantee it! I’ve been searching for someone to help me build a web site and integrate a social media approach to support my business. Kevin Robson at BusinessMasters was instrumental in helping me make the right decision. I would recommend Kevin and his team to anyone who is searching for a competent, knowledgeable, experienced and truly professional person to help them be successful on the web. Don’t hesitate to work with Kevin and his team. 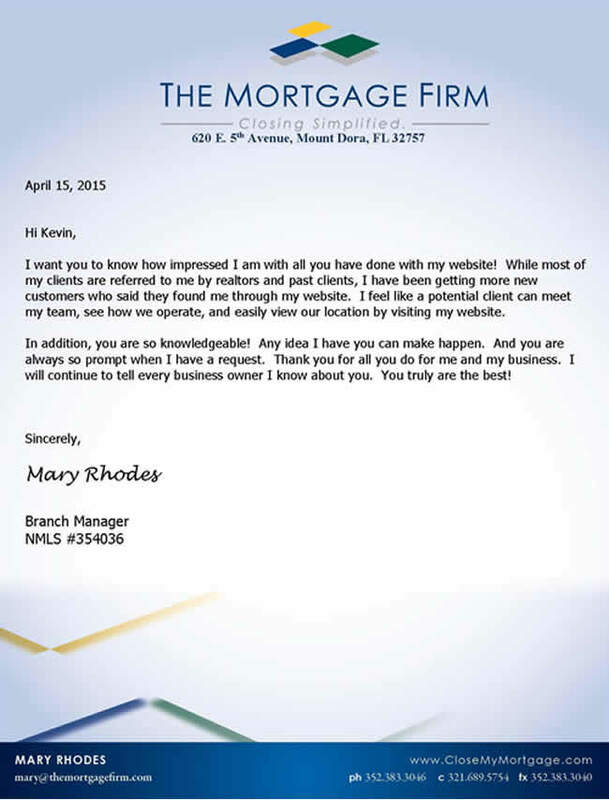 Kevin - Thank you so much for the services you have provided our firm. You have always responded to all of our inquires in a professional and courtesy manner and have completed all of the content updates on our website quickly. We have had nothing but compliments from our clients on our websites because of the design and content that you have provide to our Firm. Our Firm continues to grow with the internet marketing and the insight that you have provided to the Law Offices of Paul Lee. I would highly recommend your services to any company who wants to remain competive in their field. 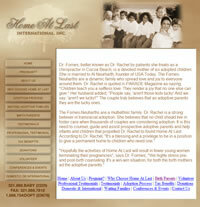 I have had two websites built by BusinessMasters.Net. The first was www.harryhackney.com when I was in solo practice. 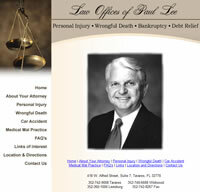 I got a great many compliments for that website from other lawyers and from clients. 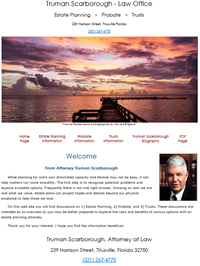 In fact, when I shut down my solo practice a couple of lawyers jokingly asked if they could have my website. How is that for a compliment? 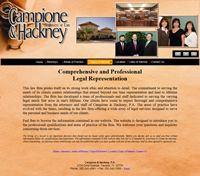 Recently, my new firm had BusinessMasters.Net build our new website at www.campionehackney.com I know that it has already improved our web presence. Although the websites BusinessMasters.Net builds are extremely well done and impressive, they are not the most impressive aspect of working with Kevin. The most impressive aspect is the ongoing follow through and customer service after the website is up and running. We host our site with BusinessMasters.Net and Kevin is always ready, willing, able, and eager to assist with any small changes or additions we need. For example, we recently had a lawyer leave the firm. I emailed Kevin to make changes to the website concerning our former associate and he had them done that day. Customer service like that is rare. Of course, the greatest endorsement that I can give for the excellent work and service at BusinessMasters.Net is the fact that I've had them build two websites. I am sure that those two won't be my only two with BusinessMasters.Net. I highly recommend Kevin and BusinessMasters.Net. Kevin's company, BusinessMasters.net, designed the www.harryhackney.com website. He did a wonderful job and I get many compliments on it. I knew Kevin before he got involved in website design. I've watched his abilities grow and develop. The constant improvement that I've witnessed shows that Kevin is dedicated to improvement of his designs and business. The great thing about Kevin for business people is that he understands that a website isn't about all the whizbang, doodads. 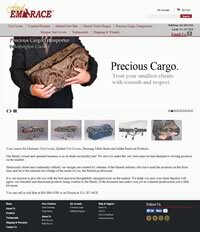 A website is about selling your goods and services. A wesbsite is advertising. Kevin knows and understands this. He has great integrity and business sense. He'll give you the designs that you bought and paid for and won't hold your website hostage like some designers. It isn't just me that admires Kevin's work. I hear many compliments from our mutual acquaintances too." 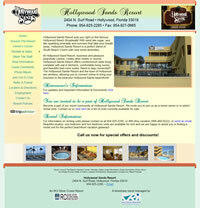 The entire staff worked diligently and patiently to see that our remodeled Website would meet our needs. Service calls were rarely necessary and, always dealt with in a timely manner. I would definitely recommend Kevin Robson and the entire staff of BusinessMasters.Net to anyone needing a new or revamped site! We are very pleased with the service from BusinessMasters.Net Kevin did a great job on our web site, and always addresses our requests in a timely, efficient and accurate manner. The pricing has been very reasonable, and I would certainly recommend him and his company to any business looking to develop & maintain a web site. BusinessMasters is aptly and pragmatically named: they ARE masters of business. Kevin is a God-send who rescued my business as I floundered with one bad website after another. From flow-chart to live launch, Kevin guided the design and production of my complex site through turbulent times and continues to oversee its optimization. The most remarkable part is the fact that when he quoted a price, and although there were human issues and complications, he stuck by that price and got the job done brilliantly. That's integrity in action, almost an extinct character trait these days! Look at the www.TownGreeters.com site and you'll see how dynamic and ever-expanding the site is, yet Kevin still manages to keep it elegant and user-friendly. The truth is Kevin and BusinessMasters will help you utilize the power of the internet to your maximum potential to grow and Master your business. When we opened our new location Kevin worked with us every step of the way. He created a beautiful website that was easy for us to use, while juggling our hectic opening schedule. His reports are incredibily insightful and very helpful. We would recommend Kevin for any job he was given to do with care and attention to detail. He remains an asset to our day to day business. 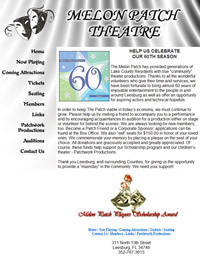 Your support of the Melon Patch Theater with the website has made a huge difference for us. It has allowed us to gain confidence and "drag" ourselves into the 21st century. We have since deployed a faceBook page, Twitter, YouTube and flickr accounts to name a few recent endeavors. We are completely thrilled with our new web site. Kevin has always been available if we have any questions or need any help of any kind. Glad we made the choice to go with BusinessMasters.Net. I wanted to share with you some of the kudos coming in this week after our launch on Sunday. I could not have done it without you guys and it feels great to have people impressed because they were not expecting this much. "really awesome"----Georgia Here are some comments from other site visitors! Kevin Robson with BusinessMasters.net has done a great job in developing and maintaining our website. He has always been easy to work with, responds to requests and updates in a timely manner and extremely helpful in creating the look we were after. Contact Kevin today for a website you can be proud of! To Whom It May Concern: Business Masters has been our website host for over 2 years. The service that has been provided has been consistently outstanding - changes are made timely and accurately when asked, communication has always been highly professional and courteous. The think I appreciate most about Kevin is how prompt he is to respond to my requests. If I ask for a picture of one of my patients to be added to the gallery, it is done the very next day. My parents love that of course. Also, I like the monthly report showing the hits at the site. 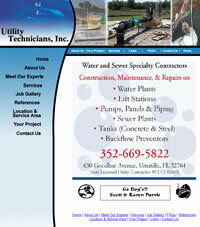 Kevin did a wonderful job setting up our website and we are proud of how it represents our company well. 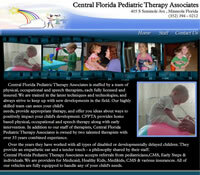 Central FL Pediatric Therapy Assoc. 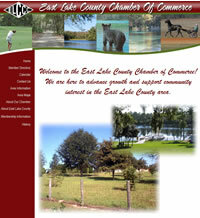 Being a new company to Eustis, we knew we needed a good website to draw attention to us. After one year of trying to do the website ourselves, we decided to ask Kevin for help. It has been a complete pleasure to work with someone that is right there willing to help, explain and deliver exactly what we need. Kevin goes that "extra mile". 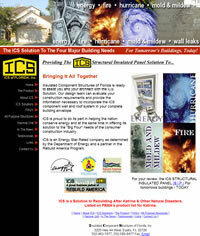 Insulated Compent Structures Of Florida, Inc.
Business Masters is a remarkable company to partner with. Kevin and his team provide our Convention and Visitor’s Bureau with first-class service that is nearly impossible to find. Tasks that would normally be daunting and laborious, are carefree and simple. It is not often that you work with a company that provides immediate tech support with a calming demeanor. This company is an absolute pleasure to work with! Thanks for giving us the opportunity to address your prospects and your existing customers, telling everybody: BusinessMasters.Net is the perfect choice for your web services - creating and hosting. With us Kevin had to deal with unusual work habits on our side, sometimes going swiftly, sometimes changing the same thing over and over, sometimes stopping the development. The work process was/is so easy since Kevin is always ready and always professional, never impatient, never pushy. 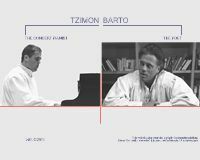 He accepted design ideas that were unusual, adapted easily to the ways our business ticks and added very constructive ideas from his profound knowledge of computing - and everything at a very decent price/achievement relation. The compliments that start to pile up for the web site are coming in from people with highest demands from various parts of the world - some of them who spent much more for less effect on their own web sites. 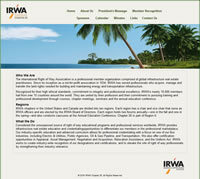 Our website designed by BusinessMasters has absolutely florished. We have averaged five new customers or more a week since it was brought on line in March. What has been more important is the professional way they run their business. They handle changes to the website, questions and resolve problems in a timely fashion.......what a joy it has been to work with Kevin and his team. 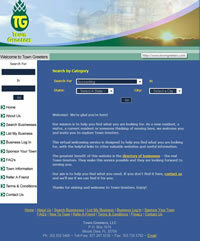 If you want a site that works for your business "BusinessMasters.Net" is the team to choose. Thank you Kevin and your wonderful team of professionals!!!!!!! Once again you and your team have given it 110%! I can always count on your creativity and genuine input on advertising on the web. Please continue and best wishes for the future. BusinessMasters.Net provided ADS Communications with a fast, tailored, professional and attractive web page with minimum effort on our part. So many other services require constant interaction and will accept a very limited array of formats. Instead of dictating style and placing limitations on product, BusinessMasters.Net worked with our schedule and our utilized the formats we were able to provide. I have and will continue to recommend BusinessMasters.Net. BusinessMasters.Net has gone over and above the service I expected from a web designer. Kevin is always quick to respond to any needs we may have and changes & updates are done in a very timely manner. 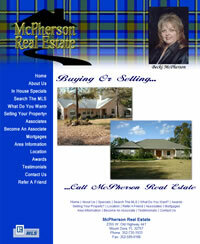 When I look at the other real estate websites I know we have one of the best on the net!!! Kevin is awesome and I would give him and his company the highest recommendation to any business needing a professional and appealing Internet presence. I have known Kevin for about 3 years, and I always thought if I had a web site I would use his service. Well, I did a dumb thing and used someone else because they were cheap. Well, it cost me more using the cheap web service as they were nickel and diming me to death. They were actually higher than Kevin. I switched to Kevin immediately, and I am saving about $60.00 a month after I pay him for his services. So, the quote of the day is "Don't go cheap, you will always pay in some other form", just go to Business Masters and get quality if you want your company in good hands! It's been 5 years and BusinessMasters has always been the perfect choice for me. Whether it's hosting or Web Development I am completely satisfied working with Kevin. Always a phone call away and ALWAYS handling the situation at hand. Customer Service and support are unmatched. First I want to say thank you for designing my web-site. It is absolutely gorgeous! Actually your incredible talent really made my cards look better and first impression is so important.. also the idea to use pink was the perfect touch. I'll be looking forward to meeting you on my next trip to Florida. Again, thank you. Good company. Good service. Fair price. BusinessMasters.net has been our web site host for the past 3 years. Kevin does an excellent job in maintaining our site. All changes and updates are always done in a most timely manner, usually within a matter of hours! Any time I call him, he is always willing to help. His customers are very important to him and he shows this through his commitment and service. Kevin, your kindness is appreciated. A little over a year ago, Kevin and BusinessMasters.Net became our web site servicing partner of choice. Kevin assumed our inefficient, unclear, already-existing web site and was able to make sufficient changes such that the site was more user-friendly and much easier to navigate. This resulted in a 15-fold increase in the number of reservations and inquiries fielded and responded to by our staff. Among the changes made, were those that made our reservations page more detail-oriented and provided an instantaneous feedback to the site visitor. And these changes were effected almost overnight. Kevin has provided us with professional advisement, extremely fast execution, and immediate accessibility, all of which equates to an excellent product within a very short timeframe with superb service at a very reasonable cost. His level of professionalism and service is unmatched in the industry. 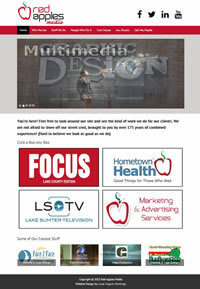 Shea King Communications has been relying on Kevin Robson and his team at BusinessMasters.Net for the past year. It is a pleasure working with someone who "gets" what we are trying to accomplish with our web presence. BusinessMasters.Net has helped bring our concept to reality, even enhancing and improving our ideas beyond what we had thought of. In fact, Kevin has made suggestions for improving the site that have added to its informational value and navigational ease. We are delighted with the product and the immediate response we always get whenever we've a question or need technical advice or explanation. BusinessMasters.Net is not the first website architect and service provider we've employed. Nor is it the second. By the time we met Kevin and his group, we were discouraged that we might ever find a service that would meet our website needs! But the third time was the charm! We look forward to a fruitful and productive business relationship with BusinessMasters.Net in the years ahead. 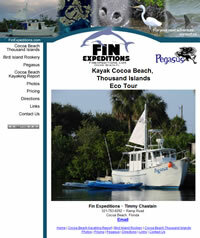 Kevin helped us make our website what I had envisioned. He is helpful, prompt,knowledgeable, and courteous. It is a true pleasure doing business with him. Since I am in a customer service oriented business, I value the quality of service you and your company provides. I have never waited for service and have been delighted with your attention to detail. I would highly recommend your company to anyone. Thank you for your outstanding support. 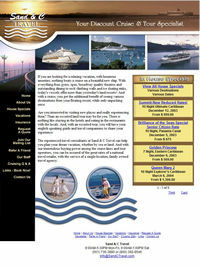 Our web page receives compliments from our clients and we are very proud of the quality. However, the quality of service that you provide us on a daily basis is what sets your company above the rest. You provide very professional support tempered with patience and understanding for those who are not "computer literate". Your quick responsiveness to every request is greatly appreciated. It's a pleasure doing business with you. 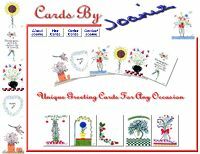 Thank you Kevin for the wonderful work you have done for me in creating my web site. I appreciate all the time you took to learn about me and my business and marketing needs before even quoting me a fee. You have provided a wonderful product! You have been accommodating, helpful, and enthusiastic. It is obvious you not only have incredible knowledge and experience, but you love your work. I look forward to continuing a great working relationship with you. I have done business with Business Masters for the past 5 years. 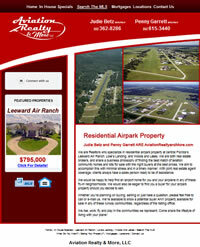 Kevin Robson created 2 Real Estate company websites for me. He was very patient & made it easy for me to give him an overall idea as to what I wanted to portray & he made it bloom. In this technical age, sometimes it's hard to correlate creativity and realistic finished product. Kevin is a real professional with a quirky sense of humor. I will continue to use him and highly recommend him to anyone needing a website or webhosting services. It is such a joy to work with Kevin and the folks at Businessmasters.net. How often is it that you make a request of your website manager and find it completed within less than 24 hours? Kevin manages to do this for us on a regular basis. Our 2007 Golf Tournament was a huge success this year, in part thanks to Kevin and his ability to quickly make updates and explain technical issues. He made it possible for us to accept sponsorships, tournament registrations AND membership applications online, which saved enormous amounts of time and paperwork in the office. His patience in working with us to get the sponsors to appear just the way we wanted was wonderful. Several months ago he helped us implement a subscription service which allows us to share our weekly calendar and monthly newsletter with anyone who would like to receive it. The cost for this upgrade to our website was reasonable and the results have been wonderful -- we can now publicize our events and our community to a much larger audience, and we look great doing it! Over the past several months, Kevin has helped us with substantial changes to our website. These changes have been made quickly and often Kevin and his staff have included more than I have thought to ask for. 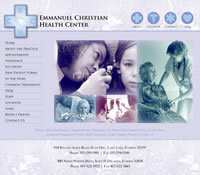 With his support and encouragement, our site looks better than ever.What a wonderful resource. Technical expertise, a smile that can be heard across the phone wire, amazingly fast response times, and real encouragement. When we decided on Kevin and Businessmasters.net, we got much more than we expected!